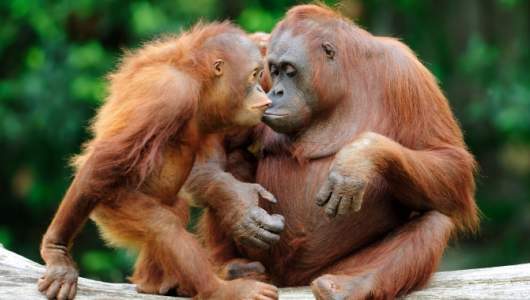 Researchers led by Dr Marina Davila Ross, a psychologist from the University of Portsmouth, filmed and studied the play behaviour of 25 orangutans aged between two and 12 at four primate centres around the world. They recorded 432 bouts of play, during which the orangutans grappled, swung punches and occasionally tickled each other. When they caught an ape displaying an open gaping mouth, the equivalent of laughter, they checked the response of its playmate. Often, the second orangutan adopted the same expression less than a second later, suggesting the mimicry was an involuntary display of empathy. The ‘laughter’ was contagious.